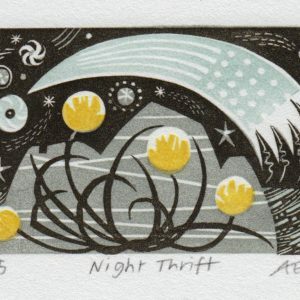 Angie Lewin studied BA (Hons) Fine Art Printmaking at Central St. Martins College of Art and Design, followed by a year’s postgraduate printmaking at Camberwell School of Arts and Crafts. 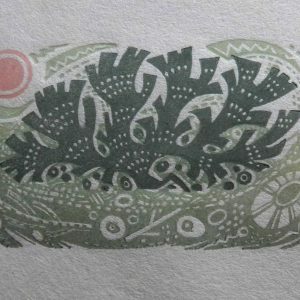 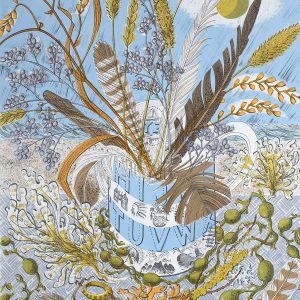 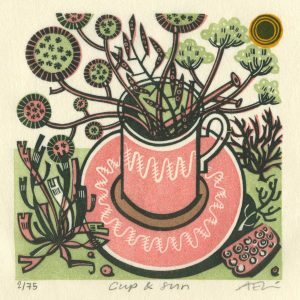 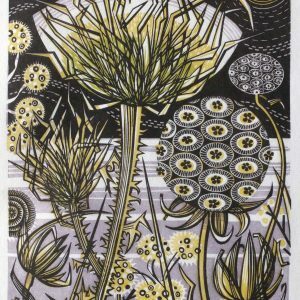 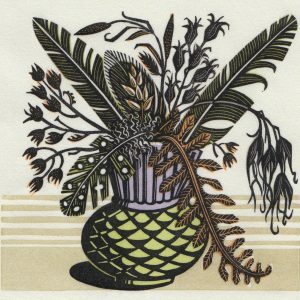 She creates limited edition linocut, wood engraving, lithograph and screen prints – inspired by skeletal plant forms seen against the sea and sky of North Norfolk and Scotland where she now mainly lives and works. 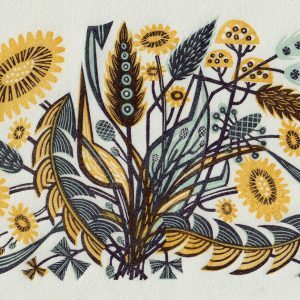 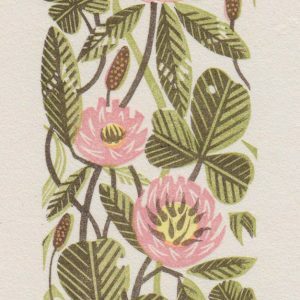 As well as designing fabrics and stationery for St Jude’s, which she runs with her husband Simon, Angie has completed commissions for Penguin, Faber, Conran Octopus, Merrell and Picador as well as designing fabrics for Liberty. 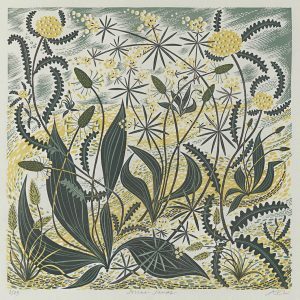 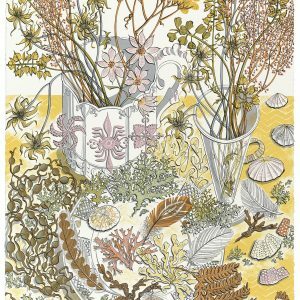 In 2006 Angie Lewin was elected to The Royal Society of Painter Printmakers and in 2008 to The Society of Wood Engravers. 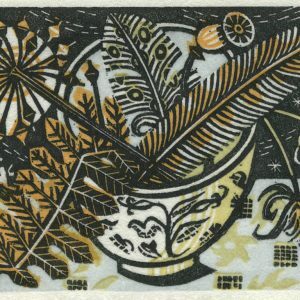 In 2010 she was elected to The Art Workers Guild.